Located east of Australia in the southwest Pacific Ocean, more than 1000 km from its closest mainland neighbour, New Caledonia is a spectacular archipelago comprising dozens of islands, atolls and coral reefs. From its rugged island interior to its World Heritage listed marine lagoons, New Caledonia is blessed with richly diverse flora and fauna that have flourished here in isolation. Complex geography, stunning natural beauty and a unique marriage of indigenous and colonial French cultures make this isolated island nation one to keep on your travel radar. Explore turquoise lagoons teeming with sea life, wander along white-sand beaches fringed with soaring ancient pines and get to know one of the Pacific’s most charming cities, Nouméa. 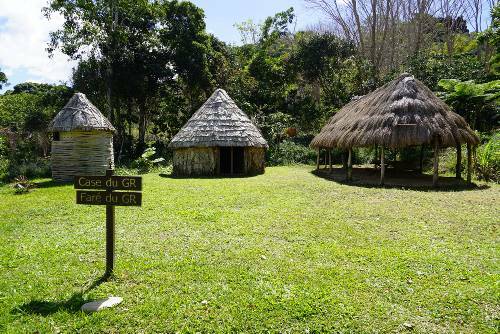 Discover local Kanuk culture and extraordinary biodiversity on the GR North Track of New Caledonia (GR NORD), an exciting hiking trail that leads through a dazzling array of landscapes from tropical rainforest to the striking plains of the West. Join us as we explore the natural and cultural treasures of New Caledonia! 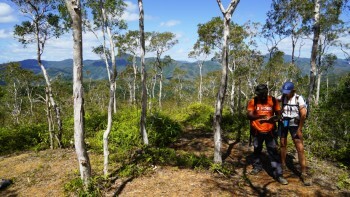 Embark on spectacular trekking for four days along the GR North Track of New Caledonia (GR NORD). Spend your leisure time pre or post tour enjoying French cuisine, snorkelling, exploring and relaxing on the island of Grand Terre. 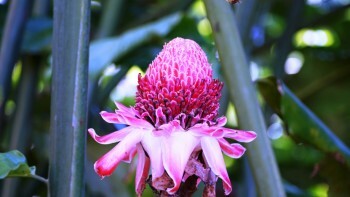 Discover the beautiful endemic flowers, orchid and giant Kaori trees along the walking trails of Parc Provincial de la Riviere Bleue. 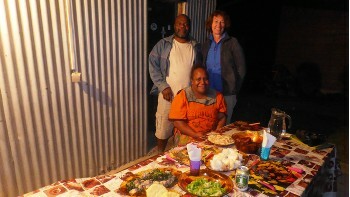 Enjoy traditional Kanak cuisine in Hienghène made from locally grown fresh produce. We ensure that our trips include everything required for you to simply focus on having an amazing experience. While we take care of the logistics, the trip cost includes the vast majority of touring extras such as private transfers and all meals while camping. Our enthusiastic and friendly local guides ensure a safe and comfortable holiday as they introduce you to the warmth and hospitality that is central to the Kanak way of life. Responsible travel practice is at the heart of every program that we offer. When you book one of our adventures you're supporting true sustainability in the support of local communities, the protection of natural environments, the well-being of our local staff and appreciation of the Kanak culture. Enjoy fully supported, multi-share camping in traditional kanak huts with sleeping mattresses, basic comforts and shared ablutions. 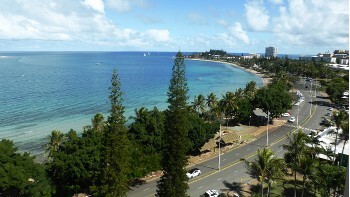 The climate of New Caledonia is subtropical with year-round precipitation. Rainstorms are especially common on the east coast, where at higher elevations more than 120 inches (3000 mm) of rain may fall annually. On the west coast the precipitation is regularly less than 40 inches (1000 mm). The driest months are September through November however rainfall can be experienced at any time of the year, so please be prepared with a lightweight wet weather jacket or poncho. Average monthly temperature throughout the year is around 24°C. The temperature hovers between 20-22°C during the cooler months (July/August) and 27-28°C during the hotter months (December/January/February). The temperatures in November sit somewhere in the middle. Due to New Caledonia’s geographical location in the southern hemisphere, the country enjoys constant cooling south-easterly and easterly breezes. These trade winds keep the climate in New Caledonia pleasantly balmy. Water temperatures are pleasant all year round, varying between 22 and 28.5°C. Electricity in New Caledonia is 220 Volts, at 50 hertz. The most common pin type is C. (2 round prong). A Visitor Permit is granted upon arrival into New Caledonia, valid for three (3) months, free of charge.